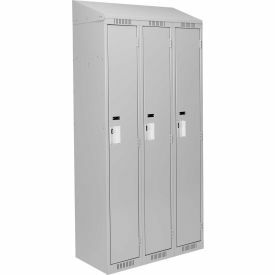 Anthony Steel Clean-Line Assembled Lockers Arrive Set Up And Ready To Use In Schools, Health Clubs, Employee Breakrooms And More. 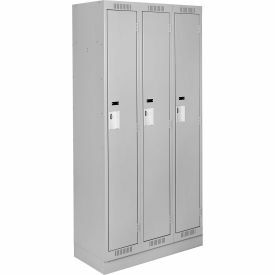 Anthony Steel Clean-Line Assembled Lockers feature welded steel construction for lasting strength and durability in the most demanding environments. Double pan doors with resistance welded steel frames provide extra rigidity. Pop rivet assembly maintains strength during repeated use. Aluminum recessed handle with Padlock Hasp provides secure storage in busy locker rooms. 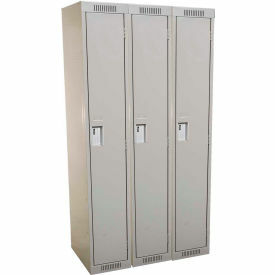 Variety of locker configurations listed with coat hooks, hat shelves and more features to meet storage requirements. 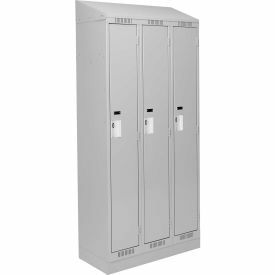 1-Wide, 2-Wide, 3-Wide and 4-Wide locker configurations available with 2 to 24 openings. Color finish is Grey. Dimensions vary per model.